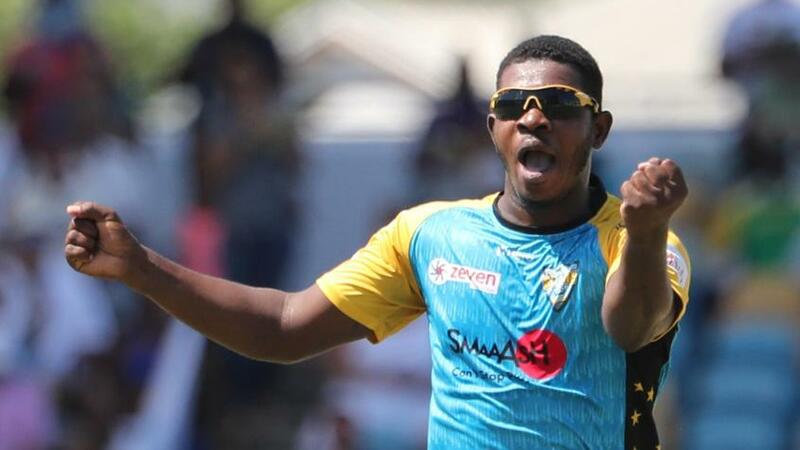 St Lucia Stars finished their wobbling Caribbean Premier League 2018 campaign with a straightforward six-wicket win over Barbados Tridents. 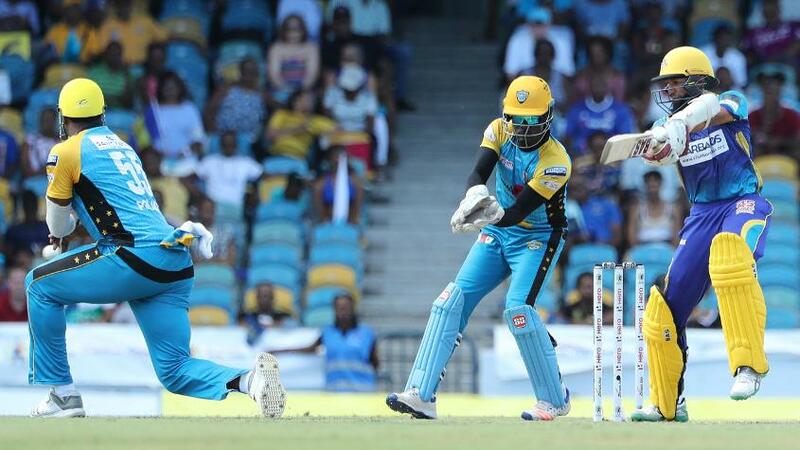 St Lucia struggled all the way through the competition, the win in Bridgetown on Sunday, 2 September only their third in 10 matches – they finished with seven points, temporarily above Barbados, who have only four points but have two matches to play. Batting first after losing the toss, Barbados – without Steve Smith, who has returned home because of a side strain – only got to 135/7 as Christopher Lamont (2/21), Kesrick Williams (2/32) and Obed McCoy (2/24) played their parts well. A 56-run partnership for the third wicket between Chandrapaul Hemraj (37) and David Warner (42*) was the highlight of the St Lucia chase as they finished the job in just 17.3 overs. For Barbados, Hashim Amla played the only innings of substance, a 34-ball 35 from No.3, as three other top-order batsmen got to double-digits without carrying on. If the innings crossed the 130 mark, it was because of some heavy-hitting at the close from Ashley Nurse (14* in 11 balls) and Imran Khan (12* in six balls). Mohammad Irfan, the giant Pakistani pacer, struck twice early in the St Lucia chase, sending back Andre Fletcher and Rahkeem Cornwall, but the Hemraj-Warner stand and Lendl Simmons’ 24* from 17 balls later on ensured St Lucia ended their tournament on a high. Lamont, playing his first – and only – game of the tournament, picked up the wickets of Dwayne Smith and Shai Hope by the seventh over after opening the bowling, and was named the Player of the Match. “Happy with the win, the guys bowled really well, especially Lamont. Everyone in our squad has got chances and young Hemraj showed what he could do today,” said Kieron Pollard, the St Lucia captain. “It's good to win games away from home. The two points is good, it would have been great had I scored some runs, but happy for Jason (Holder, the Barbados captain). Holder’s Barbados, who won the title in the second season (2014), have just not gotten off the blocks this time but are still not quite out of the race for the playoffs. “We haven't played good enough cricket – 130-odd wasn't enough. They bowled really well and deserved this victory,” he said.